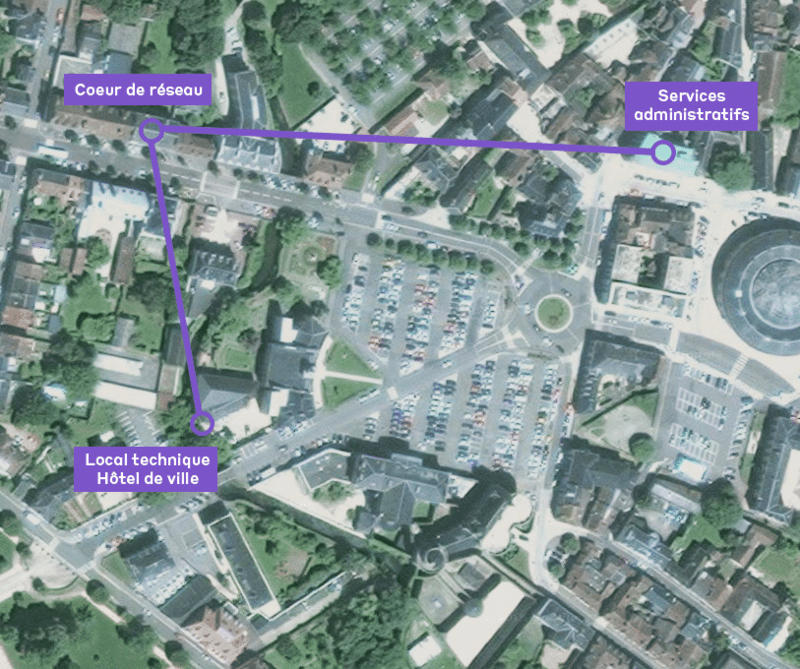 To respond to the ever-increasing needs of high bandwidth, the Urban Community of Alençon (CUA) would like to renovate its LAN. The renewal of its network core required an upgrade of the cable infrastructure in order to support the transmitted bit rates. When taking into account the location of the network infrastructure in the city center and the complex and expensive civil engineering that it would require, CUA chose the passive solution AROONA-SMUX by Cailabs to drastically increase the bandwidth of the existing fibers while also avoiding the complexity of new fiber deployment. Located in the heart of the Greater West region in the Orne and Sarthe departments in France, the Urban Community of Alençon (CUA) has come up with a new approach to further develop and modernize its network infrastructures. The IT network of this urban community is comprised of many workstations, which are distributed among the city hall, several administrative services, the academy of music, libraries and many others. These sites are linked by a cable infrastructure with OM1 multi-mode fibers which were deployed in 1997. Grappling with users’ increasing need for higher bandwidth, the IT management of Alençon has an intrinsic limitation of bit rate on the main links of the network. ”For many years, we have been dealing with bottlenecks over several fiber links in our network”, explains M. Genevoix, CIO of the CUA. “In addition to the renewal of the active equipment in the network core, we considered deploying new singlemode fibers to solve the issue of bandwidth limitation, but given the location of the buildings in the city center, the relative costs were prohibitive,” said M. Genevoix. Located in the city center, two main links, limited at 100 Mb/s rate, connect the city hall and administrative services to the network core. Being that there weren’t any available cable ducts on these links, upgrading them would have entailed civil engineering through parking, roads and watercourses. Such deployment would have required an exorbitant investment. Alençon’s IT management team chose to use the innovative AROONA-SMUX solution provided by Cailabs in order to respect the wish of the Alençon community to remain at the cutting edge of technology. This solution allows them to recycle and upgrade the existing multi-mode fiber infrastructure so that data can be transported 400 times quicker. By deploying the passive AROONA-SMUX solution, upgrading the limited fiber links took just one day. The investment costs were reduced by 76% compared to a new fiber deployment. By drastically reducing the project cost and reducing the installation time to a few hours, the AROONA-SMUX solution made the renovation of CUA’s network infrastructure possible. Today, each of the upgraded links allows the 4 independent duplex channels to be transported at 10 Gb/s.